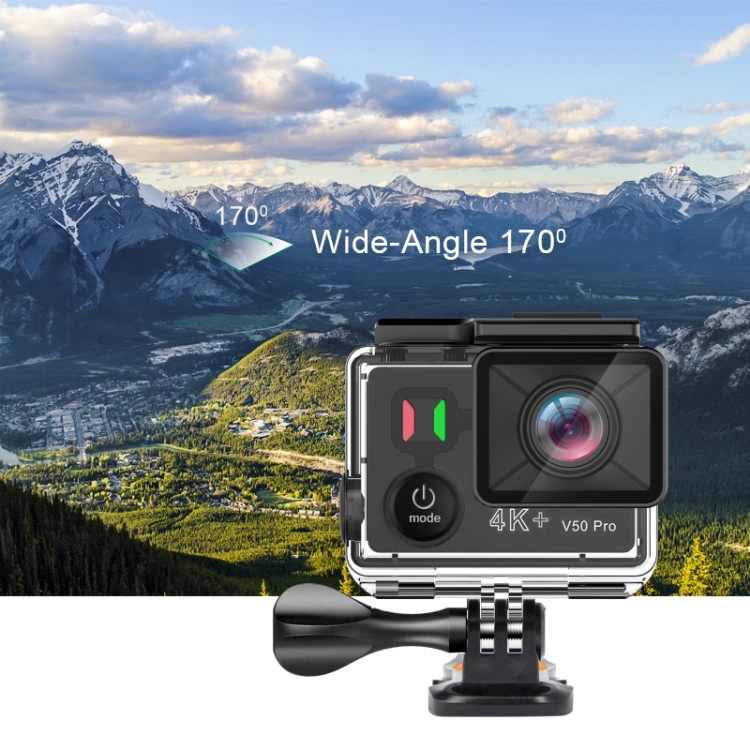 4K High Resolution action camera—Video: 4K30fps/ 2.7K30fps/ 1080p60fps/ 720p60fps. Photo: Real 12MP max. Versatile Shooting Mode: video mode, photo mode, burst photo, time lapse, and loop recording mode. 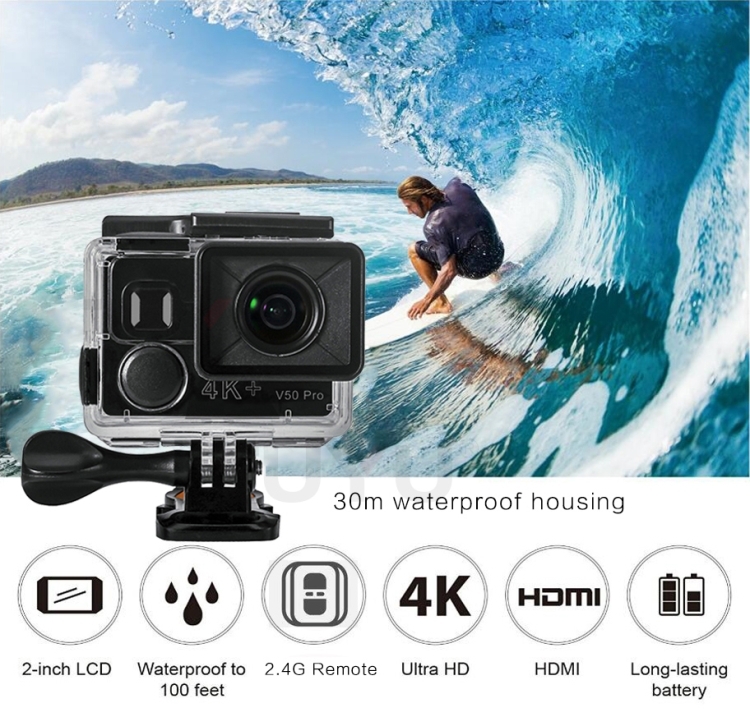 EKEN H9s action camcorder allows you to self-capture immersive and engaging footage while enjoying your favourite activities. 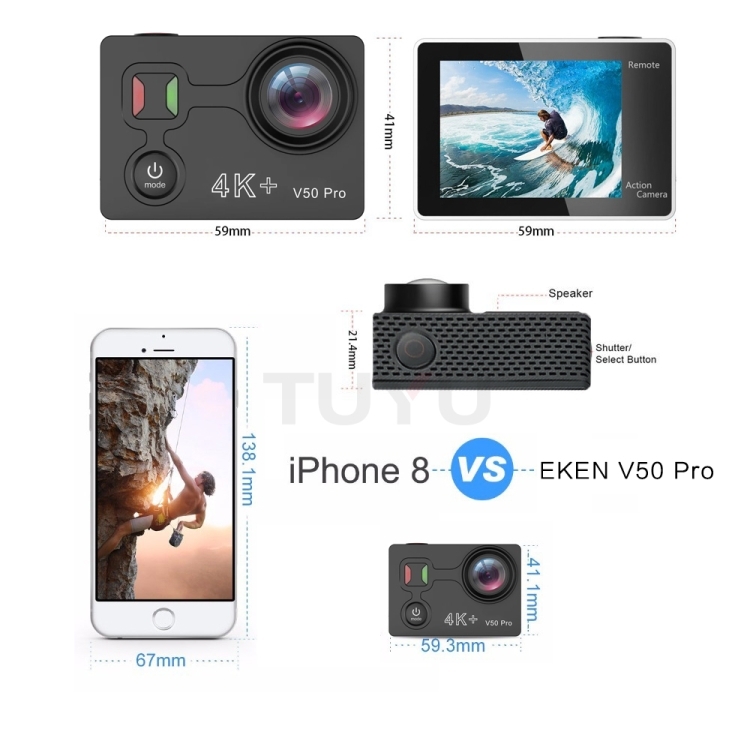 Built-in WiFi & HDMI output—EKEN V50 Pro action cam enables you to edit and share your footage as soon as it’s recorded with the App EZ iCam. 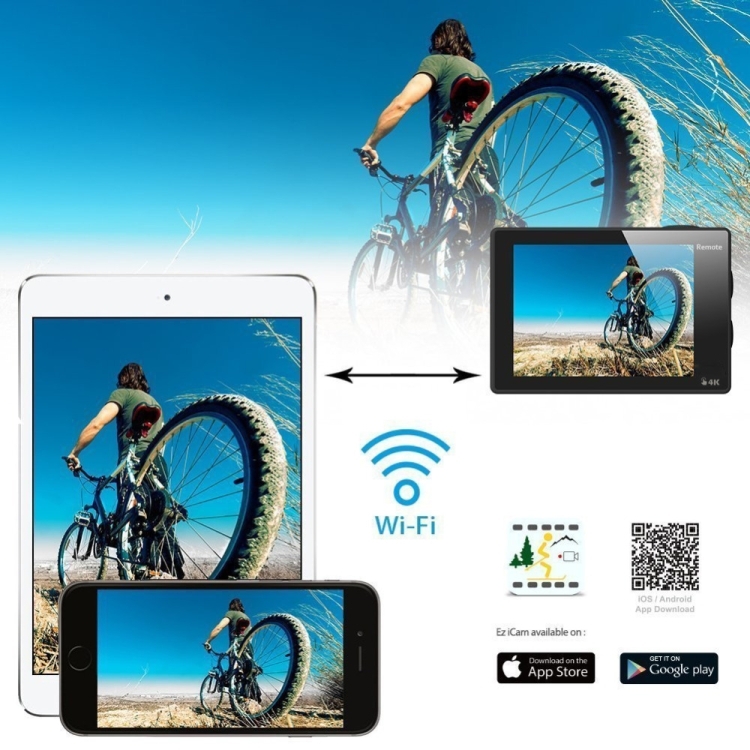 WiFi signal ranges up to 33 feet. HDMI output is supported, which means you can preview videos or see real-time display on the TV with an HDMI cable. 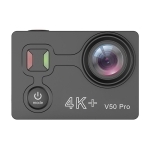 Long Battery Life Up to 2 Hours(1080p@30fps)—EKEN V50 Pro 4K WiFi action camera comes with rechargeable 1050mAh batteries. 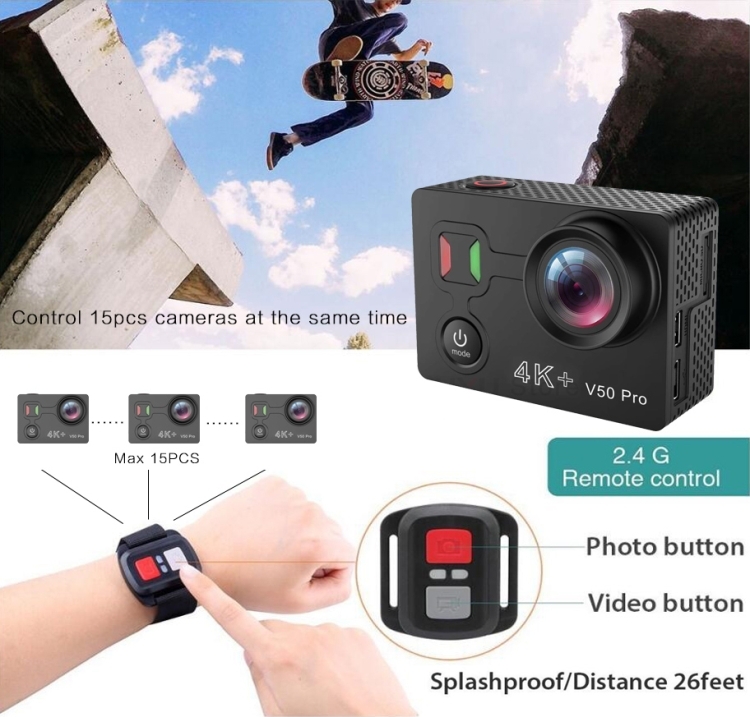 You will not need to worry about the recording time for this camera. ​There is no EKEN Logo on the camera, please noticed.